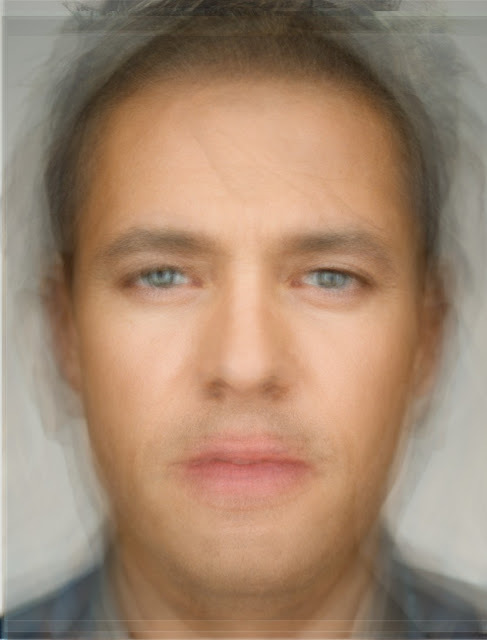 I can’t get enough of playing with this image averaging, it seems. Reddit user Janne mentioned in a post of mine about the idea of “Averageness”, and linked to the Wikipedia page describing it. This got me thinking about trying these commands on something like faces. 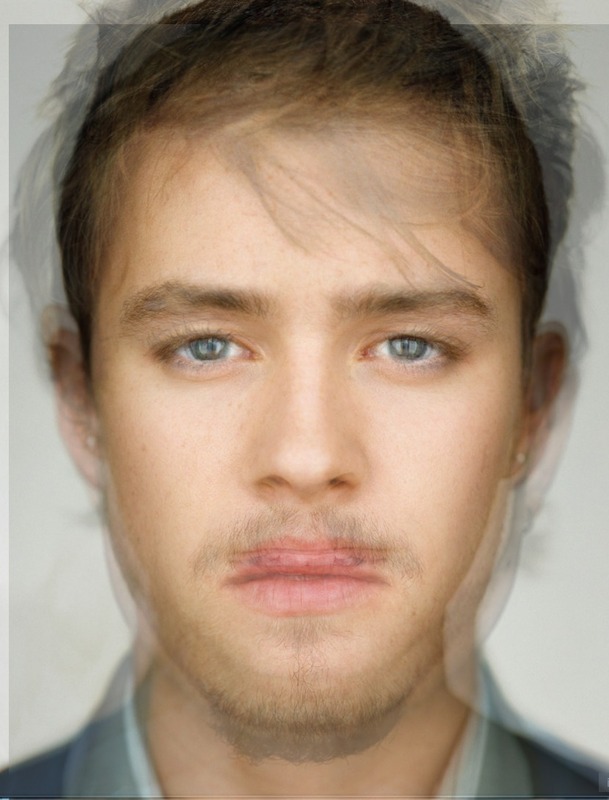 So I needed a set of faces that were all semi-similar enough to create good averages with. Well, if you haven’t seen the work of photographer Martin Schoeller you are missing out! 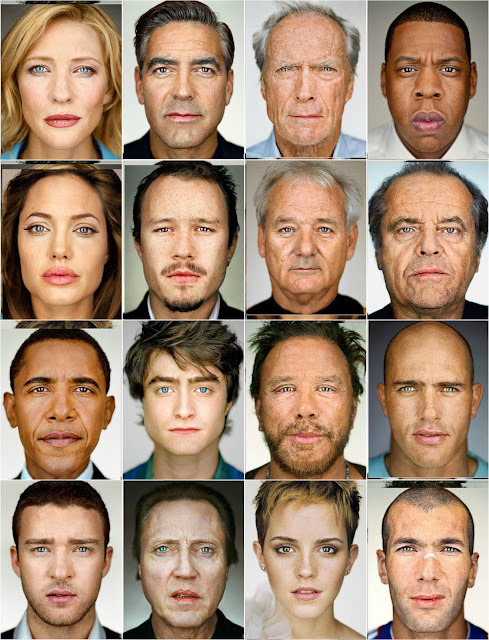 He has a series of close-ups that are shot with very similar lighting styles and compositions of famous people (and not-famous), that is simply mesmerizing to see. 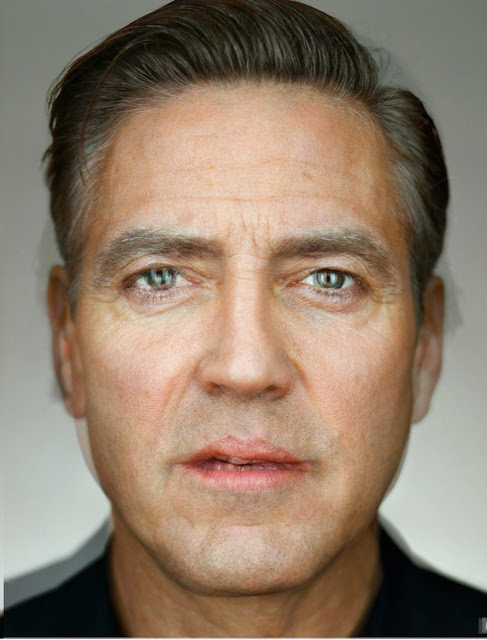 My random assortment of Schoeller close-ups. In GIMP to prepare the images all I did was aligned the images based on the subjects eyes (tried to get them on the same level, and the same distance from the centers). Blends averaged on rows and columns. What I learned from this matrix is that George Clooney and Justin Timberlake make attractive composites (and that Mickey Rourke makes them very scary). 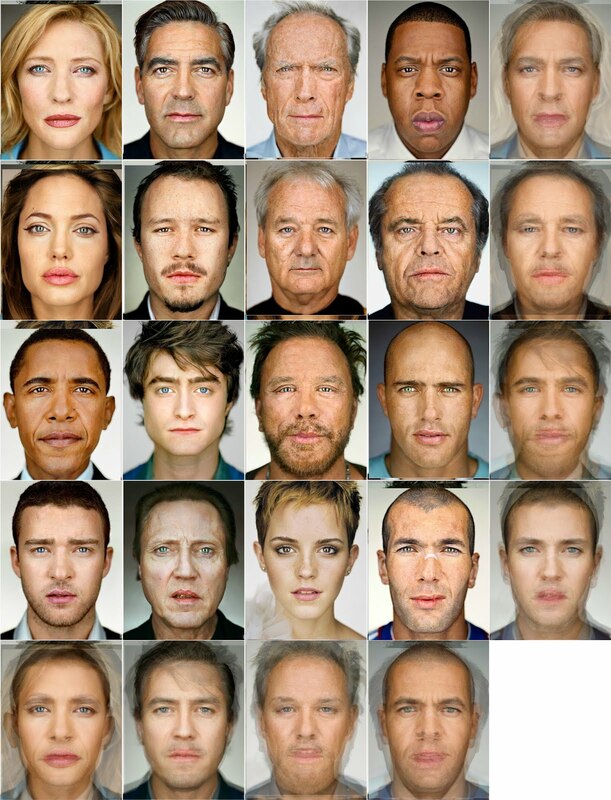 Composite of all of these portraits blended. 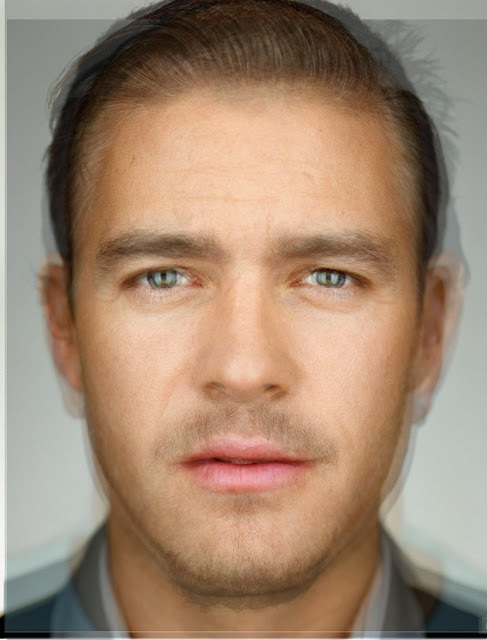 While that is interesting, the things that made me laugh out loud were the composites of faces I knew pretty well being put together in funny ways. 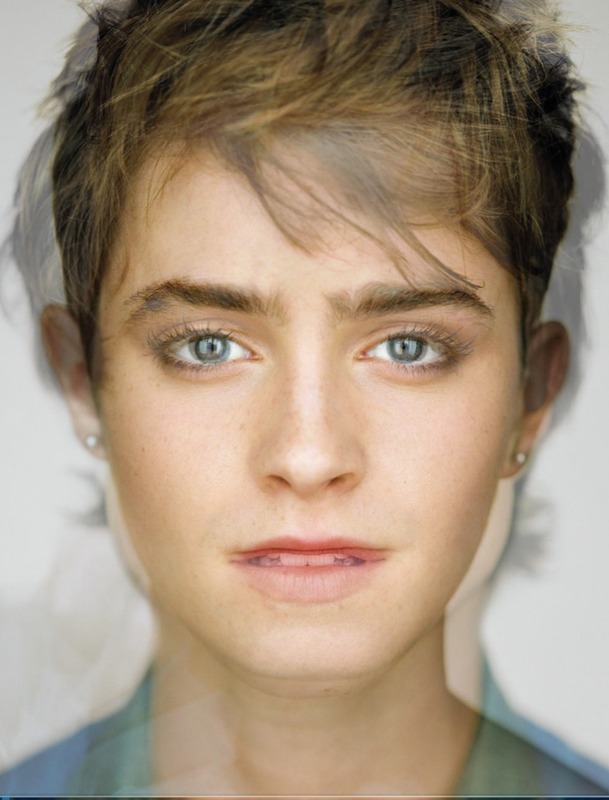 For instance, what about a simple two image blend with Harry Potter (Daniel Radcliffe) and Hermione Granger (Emma Watson)? Harry Granger or Hermione Potter? George Walken or Christoper Clooney? Well, what about mixing it up even more? How about just the ladies? Or what about just the younger actors in the list? Or how about the more “distinguished” older gentlemen? 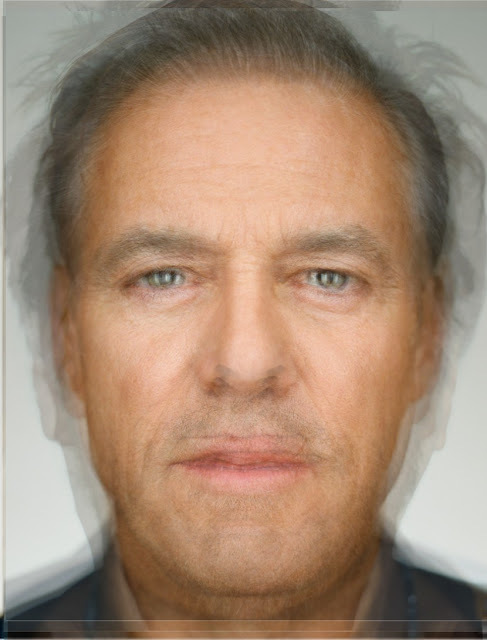 Clooney, Eastwood, Murray, Nicholson, Walken and Rourke. Honestly, after setting up the command and getting the images the same size and aligned, it was super easy just to drag and drop the ones I wanted to see mixed up. The variations were way too funny, and I was genuinely surprised at how some of them turned out. Anyone game to try blending other series and sharing them?